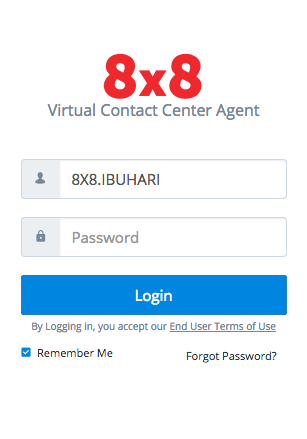 Login to Virtual Contact Centre using your Contact Centre URL or through the 8x8 Unified Login Page. You can reset your password from the link on your sign-in page. You’ll receive an email with instructions to change your password. This is where you’ll handle customer transactions, view queue activity, and manage cases. 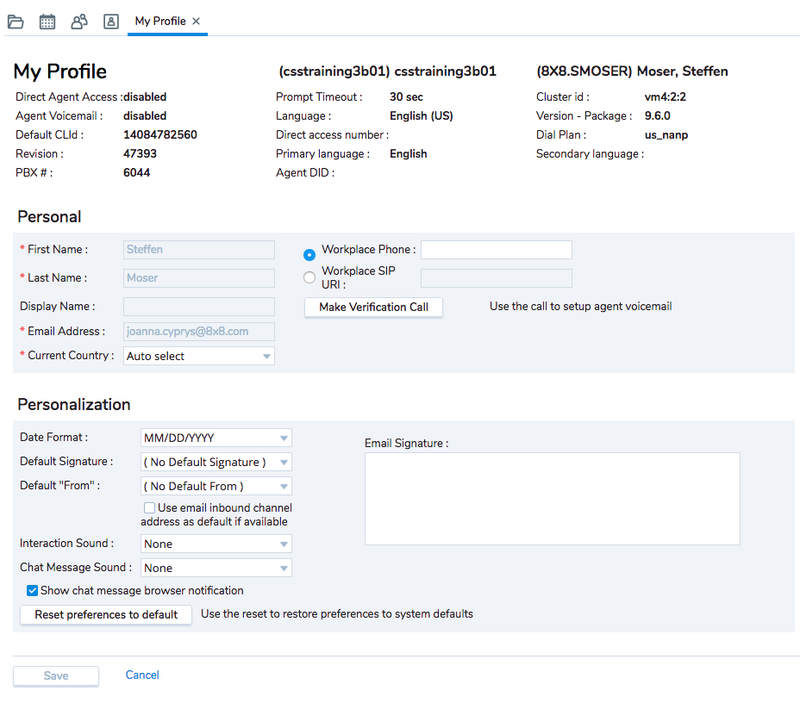 Agent Console has three sections: The Navigation Menu, Control Panel, and Display Panel. This is the drop-down menu at the top left of your Agent Console. Here is where you can access your profile, settings, Help menu, and other commands. The Control Panel on the left side lets you manage incoming transactions via phone, chat, email or voicemail; view agents and queue activity, and chat with coworkers. The tabs you see will depend on which channels are enabled by your administrator. On the right, the Display Panel tabs give you easy access to Cases, Tasks, Reports, and My Profile. 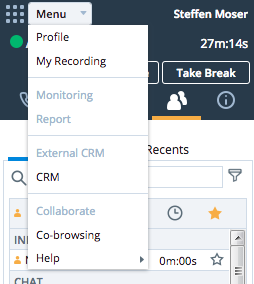 In your Profile menu you can configure settings such as your workplace phone number and email signature. Some companies use Status Codes to track agent status. If required, select the appropriate code from the Status menu each time you change status.